We have just released a new Amped FIVE update. Among minor improvements and bug corrections, these are the major new features. 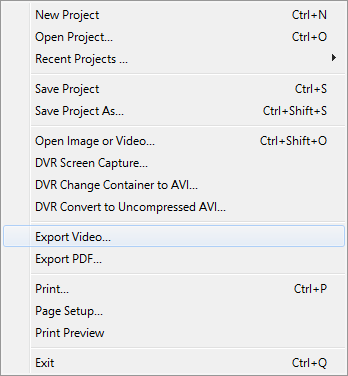 Export video allows you to render the current video as a file without the need of adding a “Video Writer” filter to the current chain. But there’s more, it is now possible to fully customize the output settings using system codecs. We support all codec frameworks available on Windows: FFmpeg, Video for Windows, DirectShow and QuickTime. Just be aware that some of the codecs installed on your system may appear as available, but they may be not enabled to write files or may not support the current resolution or frame rate. If some of the codecs fail, that’s the reason. 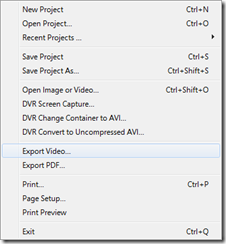 To access Export Video go to the menu “File“ > “Export Video…”. Below you can find some screenshots of how it appears. This entry was posted in Announcements, FIVE, New features on August 12, 2014 by Martino Jerian.